Life Unexpected: Huggies Little Swimmers Giveaway! Back in June I introduced you to the Swim Savvy Campaign and how we as parent's can make the swimming experience less stressful, and more enjoyable by simply following the 9 Swim Savvy Guidelines! 5. Maintain eye contact with your little one, smile, relax and drop down to the same level – your baby will love seeing you splashing too! 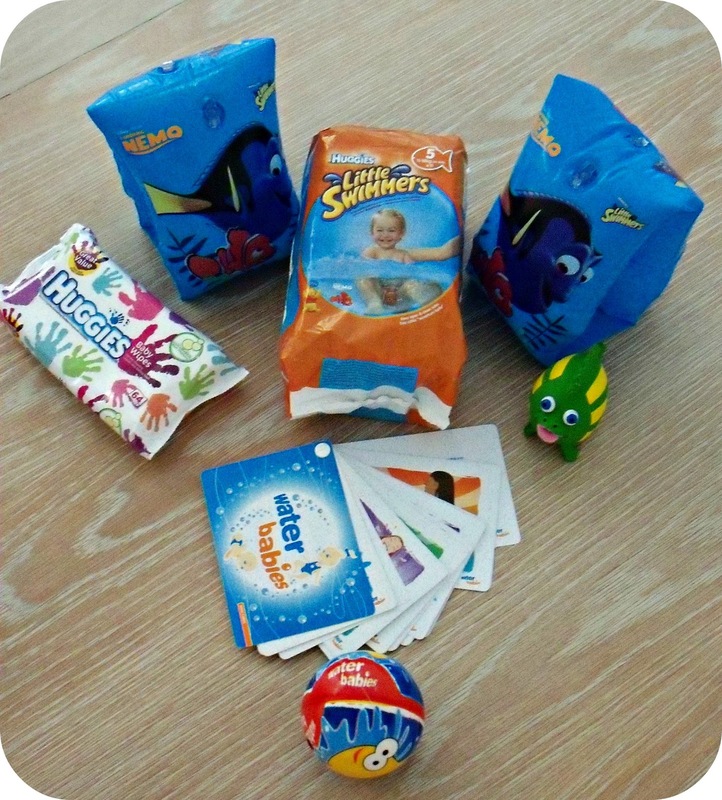 To continue the Swim Savvy theme for the Summer that is apparently just around the corner...I am pleased to be able to offer you the chance to win a very special Huggies Swimming Kit. What is in the Huggies Swimming Kit? To enter the competition you can do all of the below entry methods or just pick One or Two! - Leave a blog post comment below, telling me all about your little one's very first swimming experience! Make a splash, not a plop with Huggies® Little Swimmers® this summer! Fun! My eldest loved it, only rubbish thing was freezing while getting them changed! I always took my little ones swimming from 12 weeks! I always remember my eldest son used to clasp his hands together as if he was praying lol! He was never keen and preferred his warm bath! Gemma loves her swimming lessons. Always guarabtees a long nap afterwards! We went swimming when Dylan was about 6 weeks old and he loved the water straight away! Hoping to go this weekend actually! Flynn has always loved the water. He took to it straight away. We have just come back from holiday and he was splashing in the rockpools, striding around the shallow end of the pool and sailing around the lazy river in his baby float! OMG he did! he covered himself with muddy water! We have been swimming a couple of times but my daughter didn't like it. Time to go again I think! Water baby isn't it for Lara, she's a Pisces through and through! Not tried with Sophia yet though, she's not so keen!